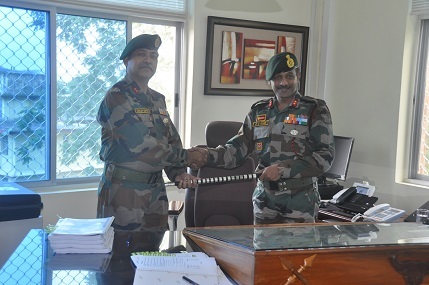 Major Gen Pradeep C Nair took over the charge as the Inspector General Assam Rifles (North) on Sunday. He takes over as the 18th Inspector General Assam Rifles (North). He succeeds Major General Sanjay Gupta who handed over the charge to the new IGAR (N). The new IGAR (N) is an alumni of Sainik School Satara, National Defence Academy, Indian Military Academy. He got commissioned into 18 SIKH in December 1985, the Assam Rifles said in a release. The General has vast experience of the North East having served in Sikkim, Nagland, Manipur and Assam. He also served in Assam Rifles earlier, the release said.